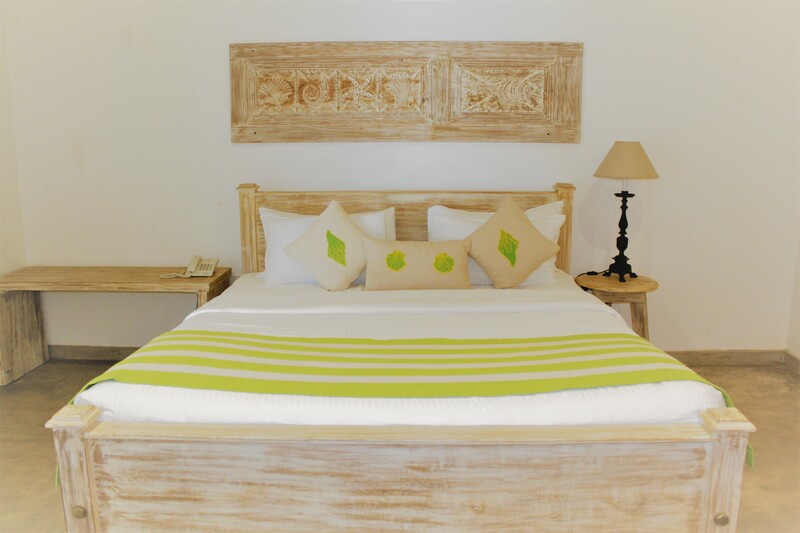 The hotel has a total of twelve rooms, which exude minimal elegance, charm and character. 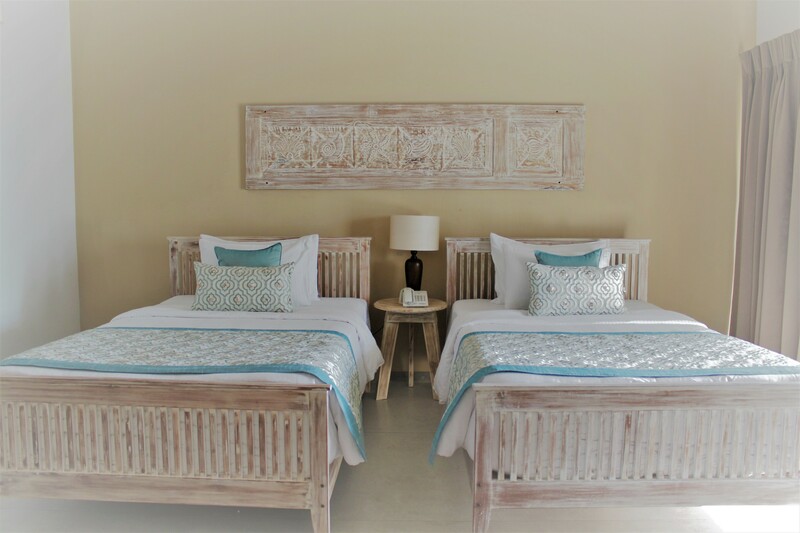 Certain rooms offer views of the garden, swimming pool and the Indian Ocean, whilst others also feature a private balcony. 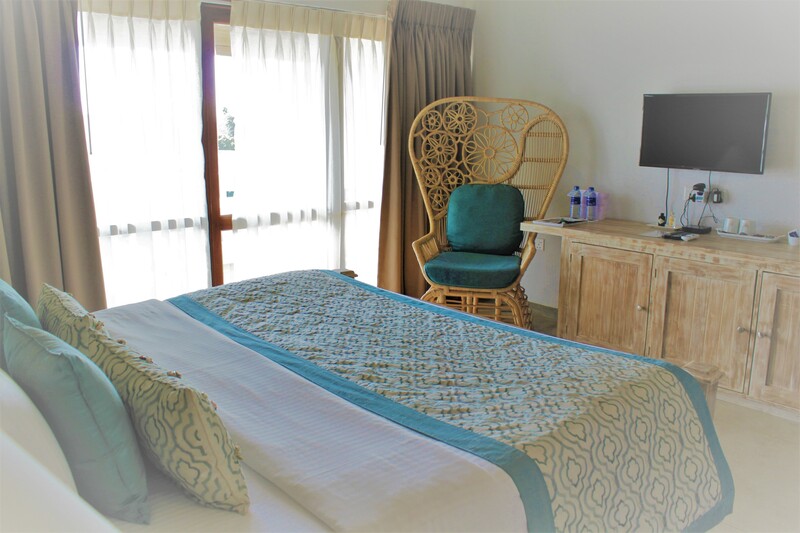 Deluxe rooms are located on both the first and second floors and are ideal for guests seeking a quiet and private holiday. 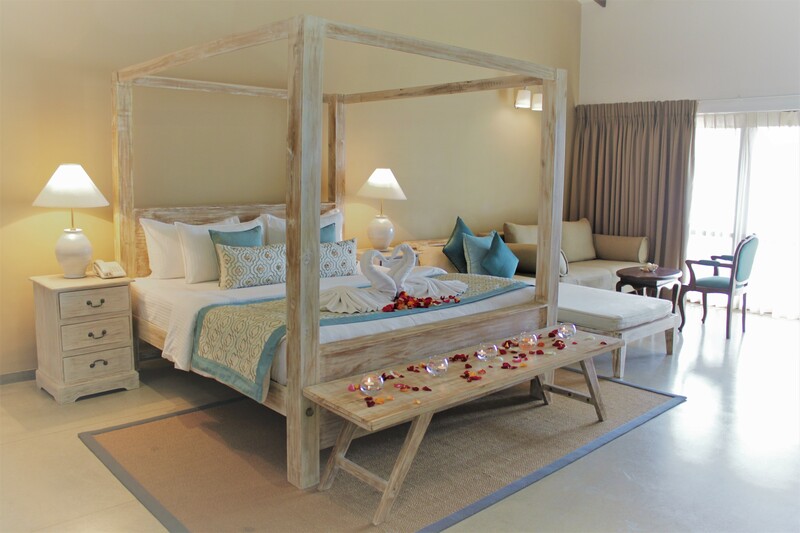 For a truly luxurious stay at the property, guests can book the hotel’s two exclusive suites (Maha Dela and Visi Dela). which exude elegance, charm and character. 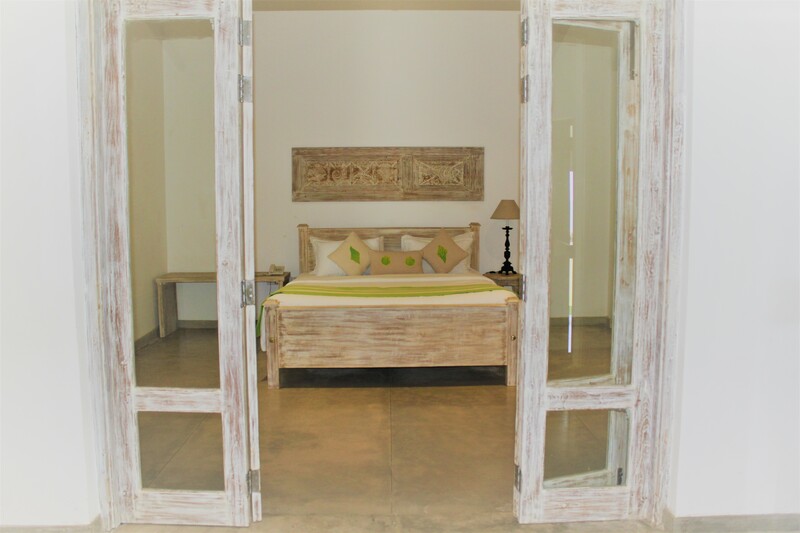 A total of two junior suites are available and are located in the pavilion, in close proximity to the beach. 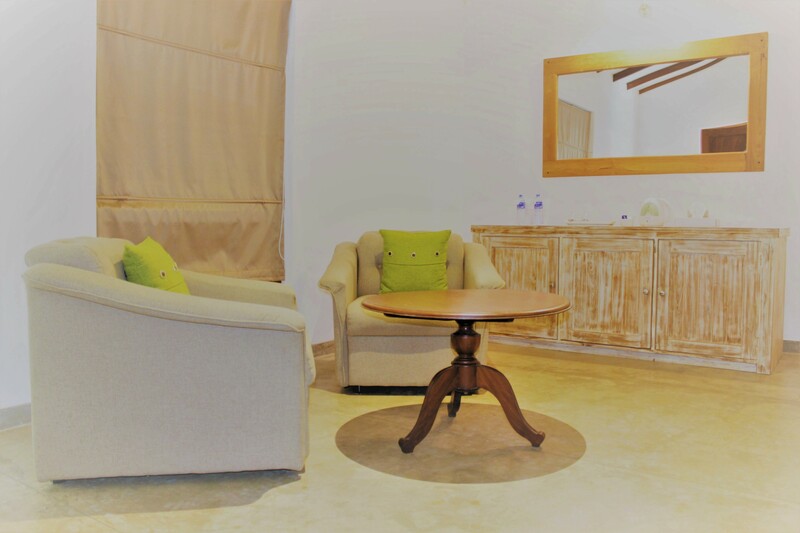 Each suite has a private garden and seating area. 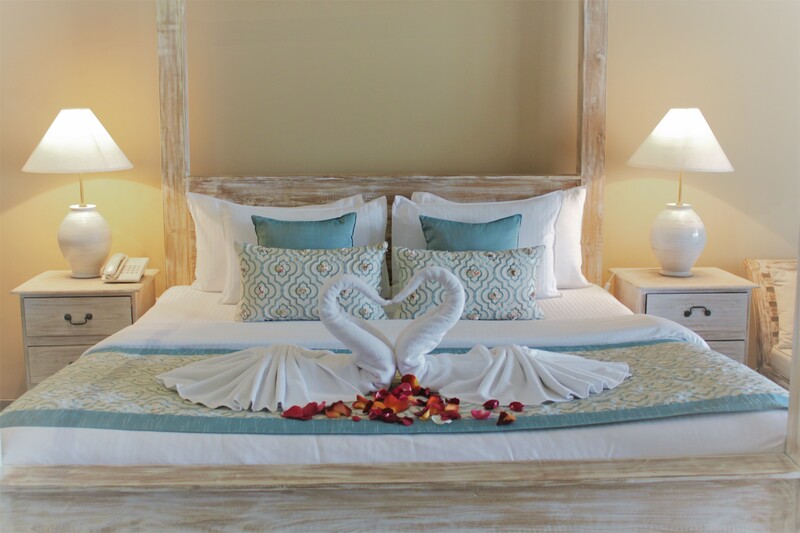 Offering the best of luxury, the two superior suites feature a four-poster bed, a private balcony overlooking the ocean and a private Jacuzzi. 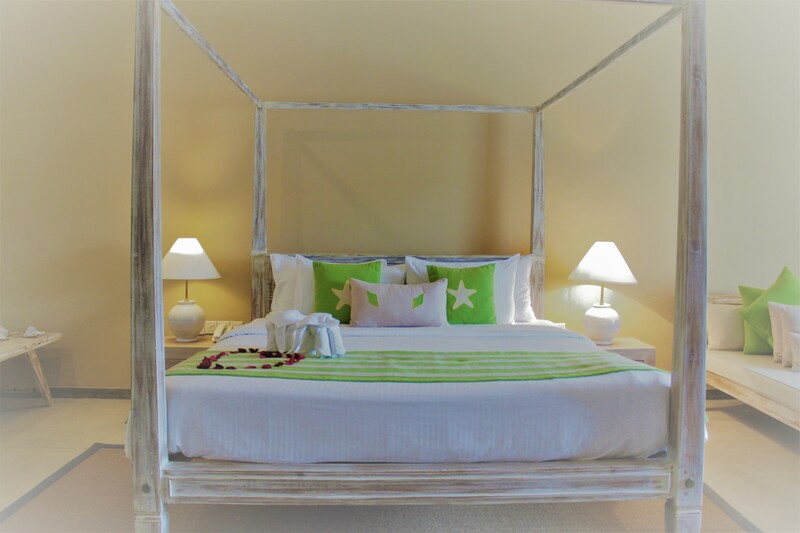 The superior suites have two different colour themes. 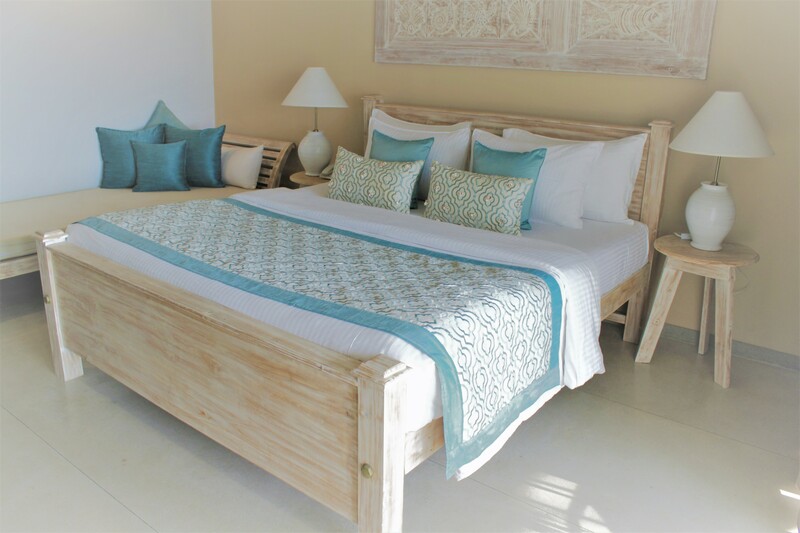 Maha Dela is beautifully appointed with subtle blue and beige interiors and a spacious jacuzzi is located on the balcony. 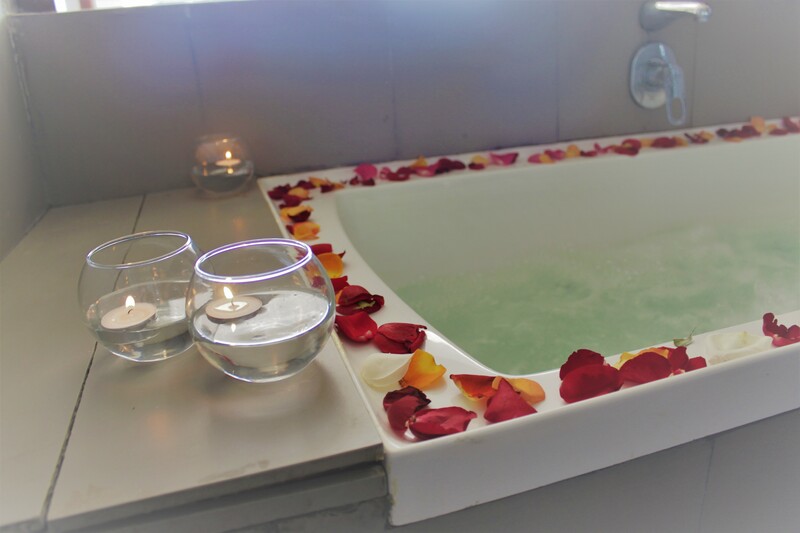 Visi Dela has vibrant green interiors, a spacious bathroom and an indoor jacuzzi.